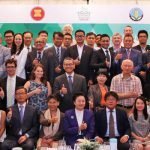 ASEAN leaders of agriculture and forestry agreed to further promote climate-smart agriculture (CSA) to address the impacts of climate change in the regional and international agenda. 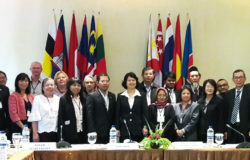 Realiz-ing the ongoing issues on climate change, ASEAN Member States (AMS) together with in-ternational and national research agencies, development partners and the private sector further continue to work hand-in-hand in promoting CSA practices and increase the resilience of the agriculture sector to the changing climate. 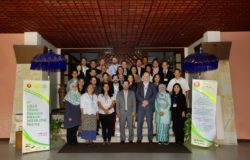 From this background, the ASEAN Climate Resilience Network (ASEAN-CRN) Workshop on Promoting CSA Practices was held from 27-28 October 2015 at the Sheraton Hotel in Ho Chi Minh City, Vietnam. The two-day workshop served as way forward to promote the prioritized best CSA practices among AMS. The workshop focused on the knowledge exchange and discussion of fundamental issues of the three (3) prioritized CSA practices common across the region, namely (1) climate-information systems on CSA, (2) development and dissemination of rice and maize stress-tolerant varieties, and (3) crop insurance as a tool for climate change resiliency. It also improved the awareness and understanding of the participants on the role of CSA in United Nations Framework Conven-tion on Climate Change (UNFCCC) and the related National Adaptation Plan (NAP) and Nationally Appropriate Mitigation Action (NAMA) processes. These prioritized key issues serve as the initial step to identify the policies needed to be devel-oped by the AMS to solidify the promotion of CSA practices in the region and in international negotiations. 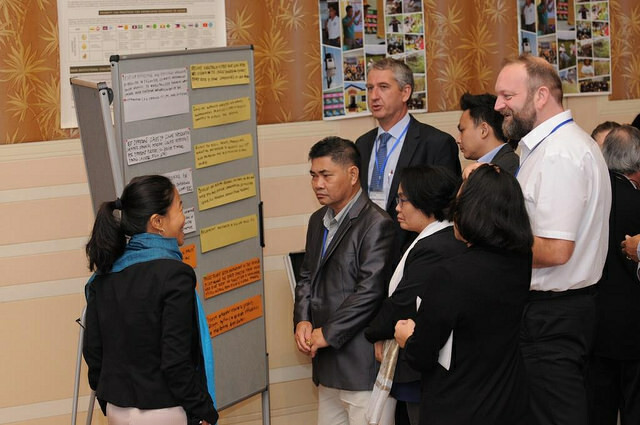 The workshop is led by the Thailand Ministry of Agriculture and Cooperatives (MOAC) through its Department of Agriculture (DOA) in its capacity as the current chair of the ASEAN-CRN, with the Ministry of Agriculture and Rural Development (MARD) of Vietnam as host. 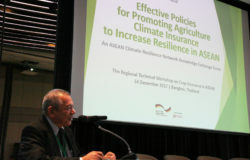 The German-ASEAN Programme on Response to Climate Change (GAP-CC) – implemented by the Deutsche Gesellschaft für Internationale Zusammenarbeit (GIZ) GmbH in cooperation with the ASEAN Secretariat, provided support for this event, along with the Food and Agriculture Organization (FAO) of the United Nations.